If you’re a woman seeking female companionship, PinkWink.com is one of the only lesbian specific online dating services out there. You can find lesbian and bi-curious women, aged 18 to 60, in your area. With advanced search features and demographic filters, you’re guaranteed to find what the site calls the "Date of your Dreams!" The profiles on PinkWink are highly customizable and in-depth, allowing you to share as much or as little of yourself as you wish. Questions like “If you could ‘Do Lunch’ with anyone, who would it be?” give you a deeper look into your potential dates’ personalities while keeping it light and friendly. You can also fill out the “Partner” section, which allows you to specify your dream woman’s age, ethnicity, relationship status, faith, background, occupation, and horoscope. You can connect with other lesbian women at PinkWink through a variety of features designed to emulate a real world dating experience including, detailed personal profiles, advanced member searches and filters, and the ability to flirt by using the “Show Interest” button. If you upgrade to Gold Membership you also have access to the site ad free, live video instant messaging and private emailing. You can also search for the perfect woman by distance, popularity, newest members, and the date their profile was last active. Signing up is a straightforward process. 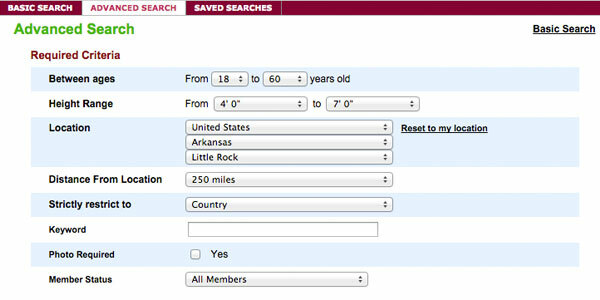 After entering your zip code to locate singles near you, you’ll create a username and password and verify your age with your birthday. You must be 18 or older to use PinkWink. Next you’ll build your profile with basic descriptive information: hair color, eye color, height and body type and ethnicity. I was pleasantly surprised by the range and thoroughness of the body type and ethnicity selections; they were pretty all-inclusive and tactful. On the next screen, the questions get more in-depth. You have the option to fill out your religion, occupation, yearly income, education, and smoking and drinking preferences. The last step in sign up is uploading a photo. It’s optional, but your chances of finding a match are significantly lower without a photo. Now you’re an official PinkWink Member! PinkWink has a “Safety” section that equips members with basic Internet dating safety skills. They implore you to exercise caution when agreeing to meet another member in person, and to remain alert to any attempts to obtain your personal or financial information. PinkWink advises that you do not give out your personal email, phone number, home address, or place of work on your profile or in introductory emails. If you do meet the “Date of your Dreams,” be sure to meet them in a public place and inform friends or family of the time and place of your meeting, and when you expect to return. Remember that while PinkWink and other dating sites do the best they can to vet members, it’s not possible to keep detailed tabs on millions of people, so exercise caution and trust your instincts if anything feels off. PinkWink also promises not to release your private email to another member or any third parties without your permission. Membership with PinkWink.com is free. If you want access to premium features like live video chat, private email messaging, and priority ranking in searches, you can upgrade to Gold status which would cost you $3.33 a month or a one-time payment of $39.95 for a 1-year membership. A 3-month membership would be a monthlyfee of $6.65or a one-time payment of $19.95. If you prefer a trial period, you can buy a 1-month membership for just $9.95. You can pay with a major credit card or through Paypal, whichever is most convenient for you. PinkWink is a verified secure site, which means your personal and financial information are protected by encryption. PinkWink’s interface is intuitive and user-friendly. Everything you need can be found in the tabs that run across the user’s dashboard. Also, members have the ability to scroll through search results in profile, gallery, or list view, all of which allow you to click through to member profiles by clicking on photos or usernames. In profile view, you can even favorite and show interest as you scroll so you can bookmark the women you’re interested in for later. PinkWink offers both basic and advanced search options. The basic search engine allows you to look for women based on age and location. This is a good way to know of potential matches available in your area. Advanced search allows you to narrow your search by lifestyle preferences like smoking and drinking habits, education level, income, and body type. Obviously, the more populous your area, the more results you’ll have to sort through. If you live in a smaller city or town, and your search results are coming up empty, try widening your search radius or dropping some of your criteria. If you’re tired of searching on your own, PinkWink also provides a “Matches” tab where they present you with women who have been curated for you based on the compatibility of your profiles. PinkWink.com’s interface is basic, and some women might find the color scheme of many shades of pink is overly-cutesy, but it’s one of the only dating sites that truly caters to the lesbian demographic. If you’re in the market for a lady friend, there are thousands of lesbian women at PinkWink from all over the world who are single and ready to mingle! If you’re skeptical, try it out for yourself - basic membership is free! Or, if PinkWinkisn’t for you, try our review of Match.com!